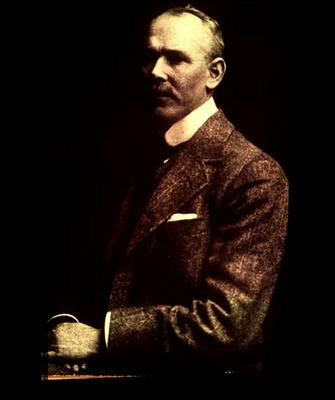 Percival David was born in Bombay, India, in 1892, and inherited his father’s baronetcy in 1926. 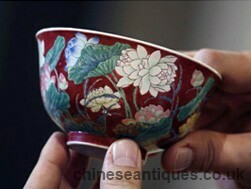 He was married in London in 1912 and began collecting Chinese art shortly afterwards. 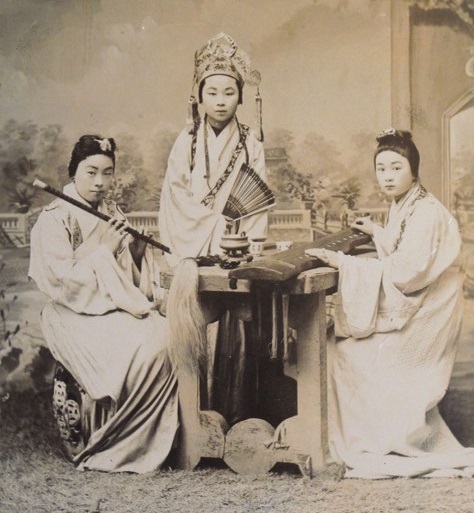 By 1924 Percival David had already acquired a considerable mastery of the Chinese written language, but at the time there were few opportunities in the West for serious study of Chinese art. The few examples of Chinese art that had found their way to England so captivated him that he decided to visit China itself. 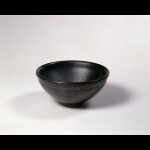 His aim was to study the tradition of art connoisseurship as it was practised in China, and at the highest level – that of the Imperial Collection. time little regard was paid to its display. Sir Percival convinced the palace officials that a more impressive display of some of their treasures might be arranged in one of the smaller pavilions within the Forbidden City and also offered to finance the project himself. The exhibition was a great success, an accompanying catalogue was published, and the attendance surpassed expectations. 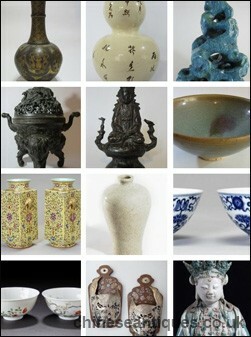 some of the Imperial Collection which had been offered as collateral to the Yuin Yeh Bank by the Dowager Empress at the time of her departure from the Forbidden City in 1901. Amidst intrigue, threats to his physical safety and downright dishonourable dealing on the part of the bank, Sir Percival eventually managed to purchase his chosen forty pieces. 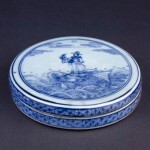 pieces from Beijing to the United States in three separate shipments. 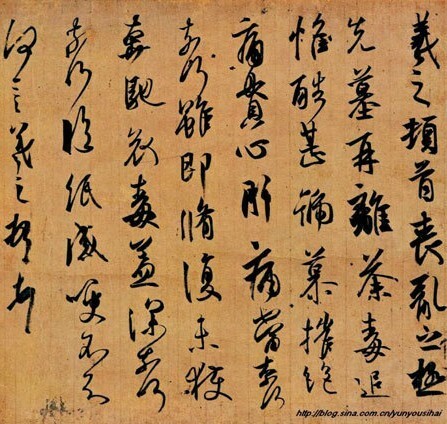 within the Forbidden City in organising other exhibitions, and in making a comprehensive inventory of the contents of the various halls and places. 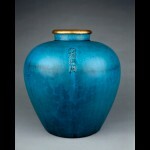 He was also able to acquire through dealers and other contact many more fine pieces for his collection. the outbreak of the Second World War, when it was sent to Sir Percival’s country home for safety. Courtauld Institute, which is affiliated with the University of London. The position was held by Professor Perceval Yetts until his retirement in 1946. Sir Percival was determined at this time to organise an exhibition in London of some of the pieces he had helped to put on display in the Forbidden City, as well as important Chinese treasures from other country’s collections. He enlisted the help of three renowned English experts of the subject, R. L. Hobson of the British Museum, George Eumorfopoulos and Oscar Raphael. 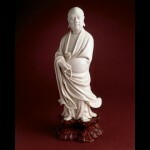 time that the magnificence of the artistic tradition of China was revealed to the West. Sir Percival’s favourite piece in the final consignment of treasures acquired from the Bank in 1928 was chosen as the most beautiful object in this exhibition, and was illustrated in the colour frontispiece for the appropriate article in the ‘Burlington Magazine’. 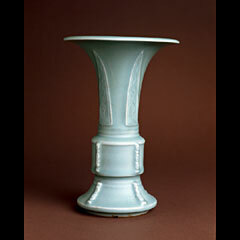 It was an exquisite pear-shaped Guan ware vase, the pale bluish-green glaze with wide irregular crackle stained golden brown. Sir Percival wished to offer his financial assistance to the aircraft industry, which he perceived to be the most crucial front of the war. He travelled to the United States in 1940, where he spent a year studying the various types then in production and in visiting aircraft factories. Sir Percival then decided that the British ‘Mosquito’ was the machine he most favoured and made a financial contribution to its production. 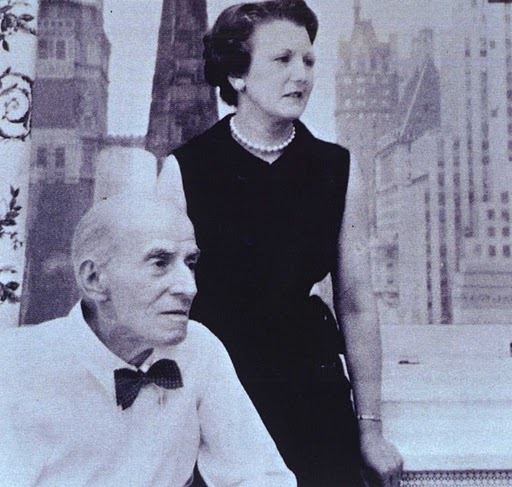 In 1941 whilst travelling from the USA to India Sir Percival and his wife found themselves in Shanghai at the time of the bombing of Pearl Harbour, and were subsequently interned by the Japanese. They were eventually exchanged, along with other American and British personnel, or an equal number of Japanese citizens held in Mozambique. During their period of internment Sir Percival developed the crippling disease, amyotophic lateral sclerosis, which was to leave him wheelchair bound for the rest of his life. Sir Percival and Lady David spent the remaining years of the war in South Africa and during this time crystallised some of their plans for the eventual disposition of their Collection and Library, the most significant part of which was that the Collection and Library should remain a separate entity. In 1945 Sir Percival and Lady David travelled to the United States together with Judge Davis, a South African fellow collector of Chinese ceramics. 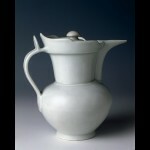 In Toronto they were able to show Judge Davis sixteen of Sir Percival’s finest pieces, which had originally been sent in 1938 for exhibition at the Fogg Art Museum at Harvard University, and, following the outbreak of war, remained on exhibition in Toronto where it was decided they would be safer. 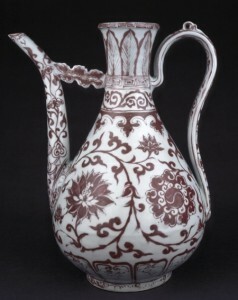 King Gustav VI of Sweden, a fellow collector and connoisseur of Chinese ceramics, had been a personal friend of Sir Percival’s for many years before he became King in 1950, and made several visits to London to examine pieces in the Collection during their post-war unpacking and to help in the process of elucidating the various types and periods of ceramics. 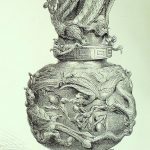 Sir Percival and Lady David were frequent guests of His Majesty and Queen Louise and were able to study the Royal Collection, the collections of the two national museums and those belonging to the King’s friends. Their last visit was in 1963 for the official opening by King Gustav of the Museum of Far Eastern Antiquities and participating in an accompanying seminar on Chinese Art. concerned with the ultimate destination of his own renowned collection. He greatly admired Sir Percival’s gift to the University of London, and the fact that it had been achieved successfully during his lifetime. He was a member of the Board of Governors of the Musée Guimet in Paris and their principal adviser on Chinese Art and considered this establishment to be the correct venue for his collection. Michel Calmann had a great respect for Sir Percival’s discernment over the finest pieces, and worked with him to select the pieces from his own collection to transfer to the Guimet. In 1959 Sir Percival was invited by the Director of the Uffizi in Florence to investigate the possibility of some Chinese objects finding a home in the gallery. They were rewarded with the discovery of a group of 14th century celadon dishes and several rhinoceros horn cups in the storage area. The horn cups were unique in that they were embellished by European silver gilt mounts. 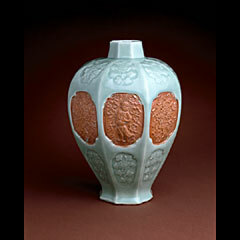 The Imperial Collection had been ferried from the mainland to Taiwan in 1948 by the United States Air Force. It was contained in 95 crates, and housed in mountain caves at Taizhong. In 1956 Sir Percival and Lady David travelled to Taiwan where they were to spend six months, visiting the caves every day. 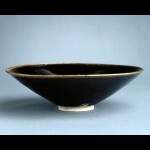 Lady David said of this visit that ‘never again would we see so many objects of the highest quality day after day for such an extended visit.’ By the time of their second visit a Chinese-style museum had been built on the outskirts of Taibei which then housed the objects. The following year Sir Percival and Lady David made a long visit to Japan to see an exhibition of Chinese ceramics and to visit other museums and private collections. 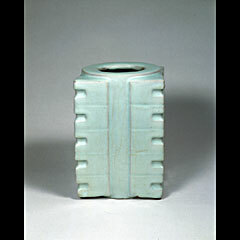 Foundation, in order to appraise his collection of Chinese art. 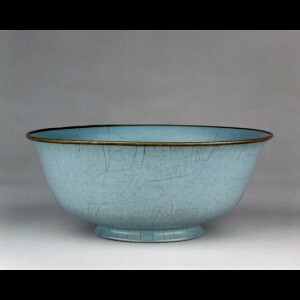 The resulting selection formed a collection representing all phases of Chinese ceramics which, together with a financial donation, added a wing to the H. M. de Young Memorial Museum in San Francisco, and made it at the times a premier establishment for Chinese Art on the West Coast of the USA. In 1960 Sir Percival and Lady David attended the 25th Congress of Orientalists in Moscow where they revelled in the experience of meeting so many Orientalists from all over the world. They also visited Leningrad, and the Hermitage Museum with ‘its fifteen miles of rooms and passages, crammed with superb works of art of every age and of every country.